Create systems that were previously impossible! Amaze and confound your friends! The MFA Bundle is a kit that allows makers and engineers to build systems with hover technology quickly and easily. The Bundle contains ALL the equipment users will need to incorporate MFA technology into their own system designs. 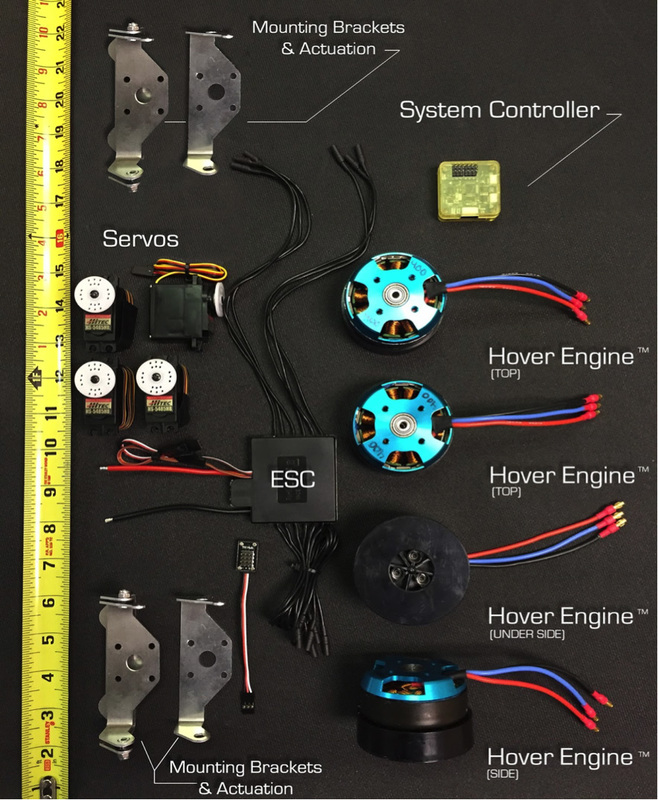 It includes 4 HE400 hover engines, 4 mounting and actuation brackets, 4 servos, a system controller and an ESC that will come pre-flashed with optimized settings. System is pre-programmed to work with any 2.4 GHz RC controller.